Surya and Samantha are going to team up for the first time in their career for an upcoming film to be directed by Lingusamy. The film is being touted as a romantic action flick and it’s going to be yet another typical Lingusamy entertainer. In the past, the director had made films like Awara, Vettai among many other hit films. The principal shooting is expected to begin from August 21 onwards. Yuvan Shankar Raja is scoring the music. More details about the film will be announced soon. 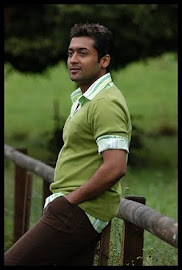 Few weeks ago, there was a big confusion over whether Surya is going to begun shooting for Lingusamy’s film or Gautham Menon’s film first. Finally, Surya seems to have decided to startoff with this untitled Lingusamy’s film since the casting for the other project is yet to be completed. On the other hand, for Samantha, this is the biggest Tamil project in her career and it’ll be interesting to see the onscreen chemistry between Surya and Samantha, who are two of the biggest heartthrobs in South.